Everyone has dreamed of receiving a new car as a gift and for a select few that dream has become reality. But how about giving a gift that could make someones existing car, truck or SUV nearly new again… that gift is the gift of a San Diego Auto Detailing Gift Certificate ! Why an Auto Detailing Gift Card? Making our vehicles last longer is something so many of us are taking aim at so why not assist family and friends with that task and give the ultimate gift for any occasion, the gift of a clean and well detailed car! 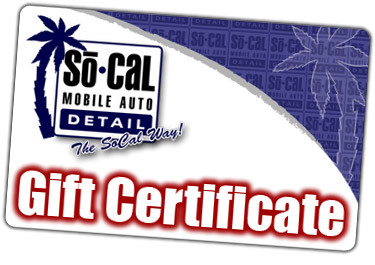 An Auto Detailing Gift Card San Diego is a gift that tells others you care about them and is a gift that gives for months and months! Ready to Buy Your Auto Detailing Gift Card? 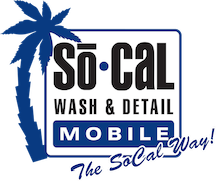 Please take a look at our Mobile Auto Detailing Packages as well as our Mobile Car Wash Packages to figure out the amount of the gift card you would like to purchase. Get a FREE $25.00 gift card with the purchase of a gift card valued at $200 or greater. Click drop down for amounts.